The Lord Mayor of London has praised the Isle of Man for its contribution to businesses in London. This statement comes as welcome news for the popular offshore jurisdiction as the Isle of Man has long hoped that its links with London will serve to highlight the valuable contribution made to UK industry. The Mayor addressed guests from the business community and expressed his happiness that the Isle of Man champions dynamic small economies. He also praised Chief Minister Allan Bell’s ideals of the Isle of Man of establishing a society based on fairness, opportunity, social function and quality of life. 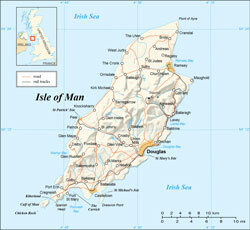 The Isle of Man has long been a popular and reputable destination for British expatriates to conduct offshore banking.